Every so often, unique opportunities come by that are just waiting to be snatched up. 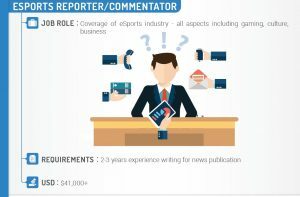 The Esports industry continues to present lucrative and exciting career opportunities across all fields. Although the industry revolves around competitive video games that are played online and streamed live to viewers worldwide, career possibilities in the Esports industry are by no means limited to professional gamers and IT masterminds. The industry is inclusive and offers new opportunities for not only seasoned professionals but also young workers and fresh graduates. 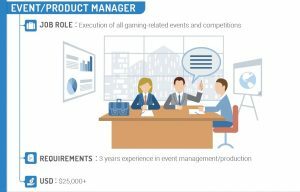 Typical IT roles in the esports industry include software developers, computer engineers, mobile developers and electricians. These roles often work together with game designers and artists to ensure quality content and improve gaming experiences. 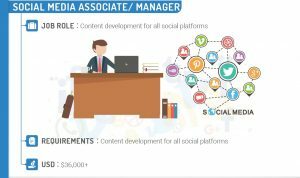 Beyond these roles that appeal especially to tech-savvy professionals, the esports industry requires finance and marketing roles to manage multi-million dollar sponsorships and business deals. Artistic roles are required for apparel design, event managers are needed to plan live events, while Social Media experts are high in demand to build online communities and moderate social media content. There are even career possibilities for those with a literary background in translation and interpretation services, which are required to ensure smooth communication between international fans and players. Finally, there’s also room for reporters/commentators who are involved in a 360° coverage of the industry: the gaming itself, but also culture and business. 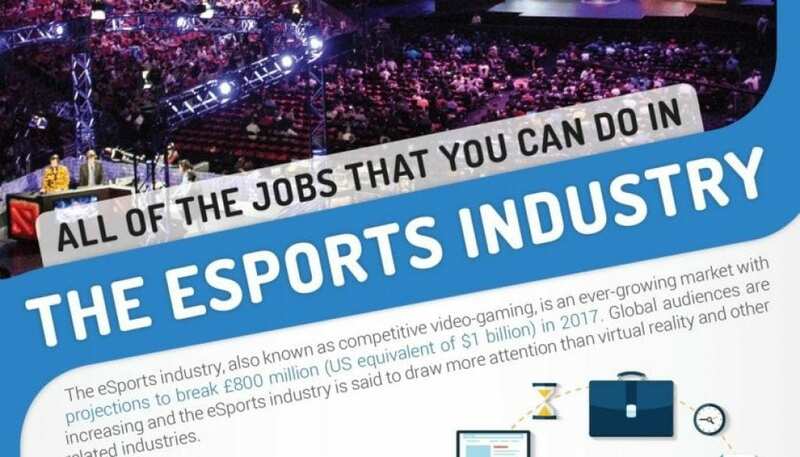 Jobs within the profitable esports industry promise above-average salaries across most career fields, while also providing opportunities for international travel and interaction with the latest technologies worldwide. Roles in the industry are often flexible and offer huge potential for part-time work, or even working from home. 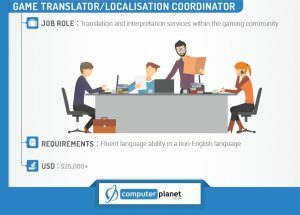 The infographics below from Computer Planet provide a brief description as well as an overview of the salaries and required experience for some of the most popular jobs available in the industry today. Don’t miss the chance to become part of this exciting industry that is projected to achieve revenues of more than 1.5 billion USD by 2020. Casters are esports commentators who provide running commentary during live matches, and usually engage in discussion before and after games. They may also be required to interview players and other experts.